Marketcircle's Daylite CRM application for Macs, iPhones and iPads has been overhauled with the goal of providing a cleaner user experience and better ways to quickly bring up and view important customer data. "We've noticed certain patterns with our customers," said Marketcircle CEO Alykhan Jetha. "One of them is reports. Everybody wants reports." While Daylite has a reporting engine it requires some programming skills that Marketcircle's small-business customers may not readily possess. To bridge that skills gap, there's a new feature in Daylite 5 called Insight View that provides a visual representation of information categories such as leads, contacts and ongoing projects. Users can start with a high-level view of all the categories, then drill into each one for more details. Another new reporting feature is called Timeline. "A lot of companies have long histories with clients," Jetha said. "They want to see that stuff fast." Timeline organizes all of a company's interactions with a given client and lets sales people quickly jump to a certain period, or group the data based on the type of information involved, such as emails, letters and attachments. Meanwhile, Daylite for iPhone and iPad has been redesigned to take advantage of iOS 7, with a cleaner, more intuitive look and feel, Jetha said. Daylite goes somewhat against the grain of today's CRM market given that it has a server component the mobile applications depend on. Data is synchronized between the server and mobile devices on an ongoing basis, although a local data store makes it possible to work without a connection as well. The synchronization helps sales representatives be prepared for meetings, as it pushes data about clients and prospects to the mobile device, Jetha said. Marketcircle is working on a cloud-based version of Daylite, but overall remains committed to the notion that native applications are better than ones that run in a browser. "Network speeds are the bottleneck," he said of browser-based apps. "Our thought is, you should use the full power of the computer you're using to have the best experience." Everything from scrolling speed to response time when you tap a button is better on a native app, he said. "[Web apps have] become better, granted, but there's still that lag." Of course, the oft-cited gripe about CRM systems is that sales people barely use them anyway, and when they do so, it's begrudgingly. To this end, Marketcircle has taken a different approach from the beginning with Daylite, he said. Daylite was conceived as a productivity application first, and a CRM application second, according to Jetha. That way, users are already in the system working with task management tools and other features, making them more likely to go ahead and enter their CRM data as well, he said. Daylite 5 is priced at US$299.95 per user for new customers, $149.95 for those upgrading from version four and $249.95 for those moving up from version three. There is no license fee for Daylite's server component. Marketcircle plans to offer monthly pricing "soon," Jetha said. Marketcircle has partners around the world who can help customers set up Daylite, which is aimed at companies with between 1 and 50 employees, with a "sweet spot" between three and 20 users, according to Jetha. Users can login from their Mac desktop, iPhone or iPad under the same license. Jetha said Marketcircle, which was founded in 1999, primarily sees competition from Salesforce.com. 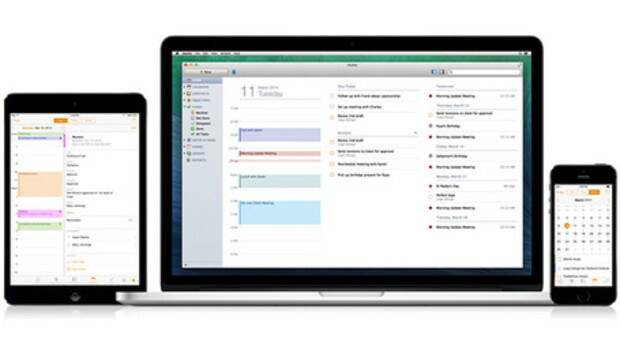 There are relatively few other Apple-centric options for CRM, with Ntractive being one. But there's no reason why the market can't support more, according to one observer. "The proliferation of MacBooks and Airs has made the Mac at least the second platform for CRM," said analyst Denis Pombriant, managing principal of Beagle Research. "Salesforce makes a point of demonstrating on Mac and PC and why not?" "Also, the proliferation of tablets, primarily iPads, into executive suites and sales people's bags makes CRM for Apple a strong reality," he added. Irrespective of platform, any new CRM vendor should avoid being overly confident about cracking the small business arena, according to Pombriant. "Entrepreneurs think it's easy writing code for that market but it's a rookie mistake," he said. "There are many, many products for SMBs. What most of these products get wrong is that they never understand the business process of selling or CRM and they simply organize data. Data is an old paradigm more suited to a transaction era. But we live in a process era, a time when data and information are not enough. A business, any business needs information about deals that are closable, winnable, and close in."